I think they look great! Even though because all of these are digital paintings, I still paint them in the same way that I paint "real" paintings. The layering is the same, because that is what I know and like. They take considerably less time to make, of course, but I can pick up pastels, and then oils, and then ink...and none of them resist each other! All of the digital supplies live in perfect harmony with each other....I think that is why I like this process the most. 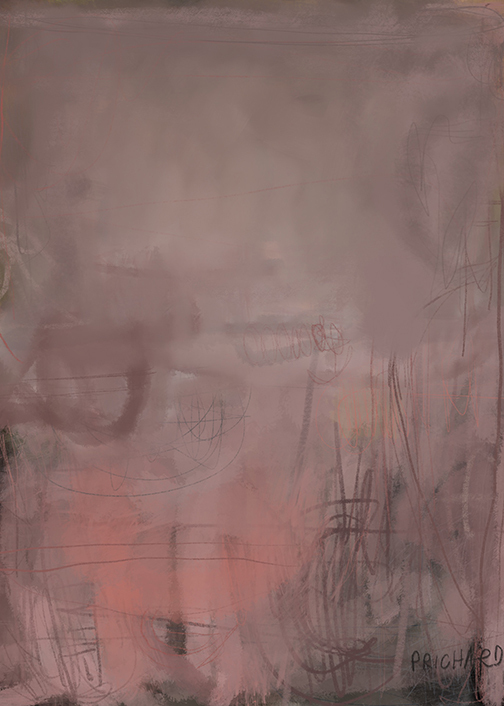 One strange thing I noticed as I paint mixed media digitally....I have not been naming any of the paintings! I've been showing them (there are more!) almost daily on my Instagram account, but they have all been nameless.. until now. What do you think?